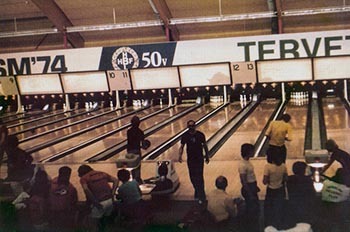 In a recent article [this one, I think] I briefly touched on the subject of tenpin bowling. Sadly, it doesn’t exist around here. Not in Sichon, not in Surat Thani, and not in Nakhon Si Thammarat. You see, I used to be passionate about bowling, and probably would be now if I could find somewhere to play. At one time in my life, I used to bowl around thirty games a week – what with practice, leagues and tournaments. It would be nice if there was an alley close by. It’s a good way to get to know people. But, as far as I can figure, the closest is on Ko Samui. Now, if I bowled, I would want to do it regularly, and so the idea of four or five hours of travelling – by car and ferry – at least once a week, just for an hour of bowling, doesn’t really make much sense. Bringing up the subject though reminded me of something odd that happened the last time I tried to bowl. 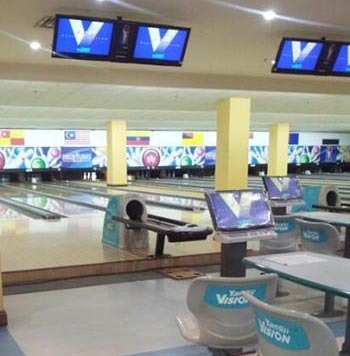 A few years ago I went with a friend to my local bowl in Shah Alam, which was where I lived in Malaysia for close to twenty years. Shah Alam that is. I didn’t live in the bowling alley! Although, some days it felt like it. I’m digressing again; but I had bowled there fairly regularly at least ten years before this, and got to know the manager. We used to sit in his back office, drink coffee, and chat mostly about bowling and computers. At the time, all his equipment and software was Korean. The software didn’t do what he needed, he was struggling to communicate with the manufacturers and engineers, and he asked me if I could help. Coincidentally, I had a kind of business partnership with a Korean/American lady. She was well connected, both socially and business-wise. The idea was that she would generate new business for my I.T. company. I used to spend hours chatting with her and her husband over extended lunches at their townhouse in the diplomatic area of Kuala Lumpur. Her husband was German/Canadian and had been the Canadian Ambassador or High Commissioner to many countries around the world, including Malaysia. He was also a German aristocrat. I believe Baron von Richthofen was his Great Uncle, or something like that. Looking back on it, I can’t see what we had in common, other than us both being expats and Canadians, but the conversation was always enlightening. Which has nothing to do with bowling, except, as I mentioned, his wife was Korean/American, and the bowling equipment in Shah Alam was from Korea. As soon as I mentioned the problem, she leaped into action and insisted we go see the Korean Ambassador to find out if he could help. Somehow, involving an Ambassador to help fix a software problem seemed like taking a sledge hammer to crack a nut. But meet with him we did, along with the Senior Trade Commissioner. They were friendly, they seemed interested, but I’m sure the minute we walked out the door they said “What the hell was that about?” – in Korean of course. As you can imagine, after ten years of not bowling, I felt pretty rusty. So, I was taken aback when the first ball went straight into the 1-3 pocket and gave me a nice strike. My friend bowled. Then I stood up again for my turn, except – no ball. I informed the right people who went on the hunt at the back of the pinsetters, and after about ten minutes my ball reappeared. Okay, not too unusual, except this happened four times! Strike. No ball returned. Find someone to help. Wait ten minutes. Repeat. This was getting tedious. Finally someone plucked-up the courage to tell me “You can’t use that ball.” It’s the Asian thing you see, you can’t give people bad news. They lose face. They knew all along what the problem was but couldn’t tell me. It seems the optical sensors, which in the name of progress had replaced the mechanical ones in the not-made-in-Korea equipment, couldn’t “see” my all-black ball. There were no markings on it, and so the equipment ignored it. Bugger! I’d used the same ball, a rather expensive Ebonite (in fact so expensive I bought it second-hand and had it re-drilled) for probably thirty years. When they asked me to switch to a house ball it was just a waste of time. Wrong weight. Holes, or maybe my fingers, in the wrong places. And some cheap plastic material instead of, well, ebonite. That was a sad day, realizing my favorite ball had come to the end of it’s useful life. I see now that the Ebonite website actually has a page for “Retired Balls.” That doesn’t seem right. Balls shouldn’t be retired. They should be taken out at regular intervals, given a good polish, and put to some serious use. You there at the back… yes you… stop snickering, you know what I’m talking about. Colorful Ebonite Balls. Not Plain Black!